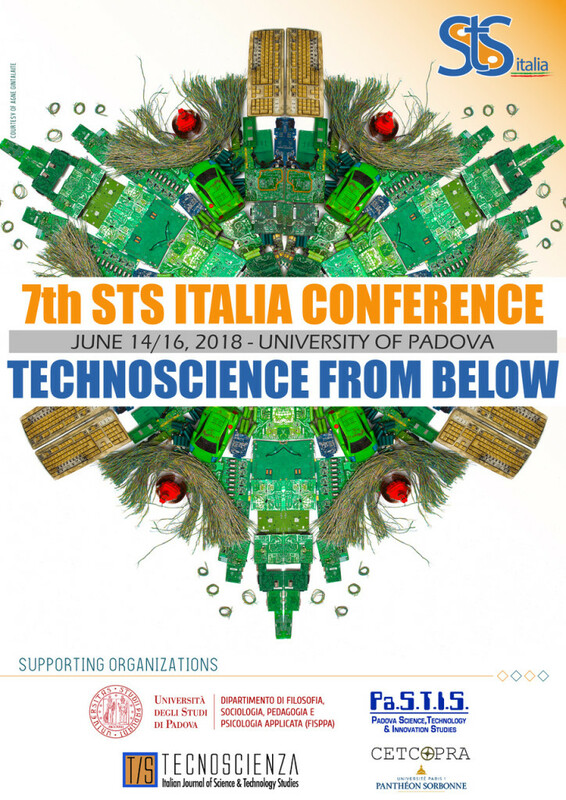 The 7th STS Italia Conference will be hosted at the University of Padova, Italy, June 14 through 16, 2018, by the Italian Society of Science and Technology Studies, in collaboration with the FISPPA Department and the University of Padova. The focal theme of the 7th STS Italia Conference will be Technoscience from Below. The conference will be articulated in 26 different thematic sessions, focusing on several different topics, including: environmental issues, biomedical settings, communication and digital media, responsible research and innovation, design, infrastructures and co-shaping of science and technology at large.